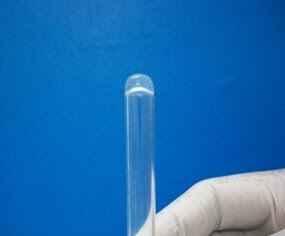 Bacterial Endotoxin Test is useful to determine the harmful pyrogen in pharmaceutical products and water for injection using a gel clot method. The Bacterial Endotoxins Test is an in-vitro test that is usually carried out when one is keen to identify whether there are endotoxins. Endotoxins are also commonly known as pyrogens and they are mainly produced by gram-negative bacteria. The principle of Bacterial Endotoxin Test makes it the most sensitive test that one can use to detect and quantify endotoxins, toxins that are famously known for causing fever in humans. Pharmaceutical products can be contaminated during purification, production or packaging stages, and the Bacterial Endotoxin Test is used to confirm that the products are not contaminated before they are administered for use in humans. In order to test a sample for the presence of endotoxins, one is supposed to add the sample to lysate which is an enzyme that is derived from the horse shoe crab, specifically derived from the hemolymph cells of the crab. The working of the Bacterial Endotoxins Test is based on the physiological reaction between endotoxins and the amoebocytes that are found in the blood of horse shoe crabs. The function of the amoebocytes is to provide horse shoe crabs with a defense mechanism against pathogens. Amoebocytes have granules containing a clotting-factor that is usually released once the amoebocytes encounter endotoxins, resulting in a coagulation. This physiologic effect between endotoxins and the coagulating factor is the principle behind the working of the Bacterial Endotoxins Test. Bacterial Endotoxin Test identifies the gel clot that is formed when an endotoxin contacts a clotting protein from circulating amoebocytes of the limulus. A preclotting enzyme is usually activated by the combination of endotoxins and calcium. This active clotting enzyme ends up catalyzing the conversion of procoagulogen into a unit made of the polypeptide, which is a coagulogen. This subunit then join up through a disulfide bond to form a gel-clot. This precipitate is then measured using spectrophotometry to determine if there are endotoxins in a sample. The Bacterial Endotoxin Test usually uses three general endotoxin detection methods that are usually accepted. There is the gel clot technique that usually measures and detects endotoxins through the gel formation process. There is the turbidimetric methods that usually detects the amount of endotoxins based on measuring the turbidity. The sample suspected to contain endotoxins is introduced into a solution containing an endogenous substrate. This substrate is cleaved upon introduction of the endotoxin containing sample generating turbidity. Development of turbidity indicates whether a sample contains endotoxins or not. There is also a chromogenic method that tests for the development of color. The sample suspected to contain endotoxins is introduced into a solution containing a synthetic complex made up of peptide-chromo-gen. The development of color in the solution is indicative of the presence of endotoxins in a sample. This simple principle applied by Bacterial Endotoxins Test makes it highly advantageous when compared to another test. This is in the sense that the test is usually easy to perform and one can be able to obtain the results of the test within an hour. It also eliminates the need to use an animal for testing of pharmaceutical products.